I recently created this custom order necklace for a regular Shh customer. She wanted the Chevron D’or necklace in the style of the shorter Priestess necklace. And so we shortened the chevron pattern and voila, here’s the beautiful finished product! I think it will look gorgeous in the spring and summer weather, with a strappy top, the beads glimmering in the sunshine. Yay! 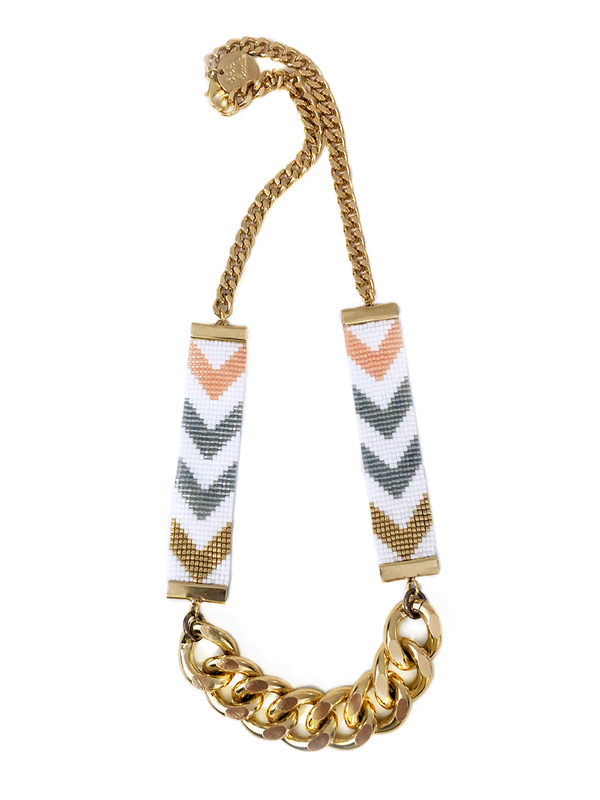 See below for photos of the custom short length necklace, and the original Chevron D’or. PS. If you have a piece of jewellery that you'd like to design, redesign, or fix, you can get in touch here.